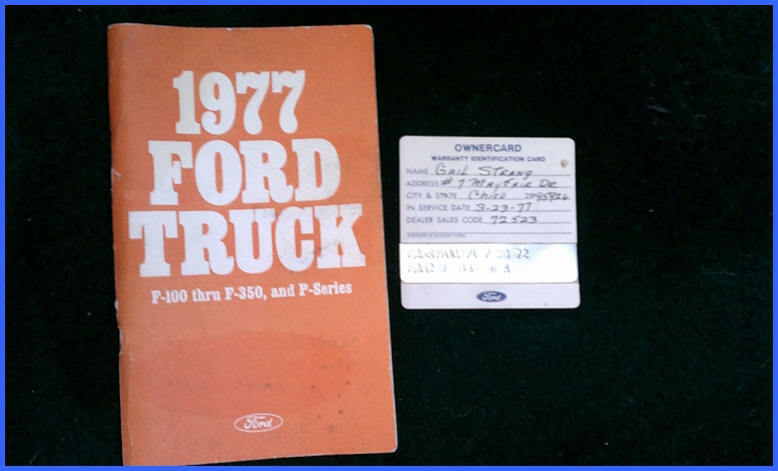 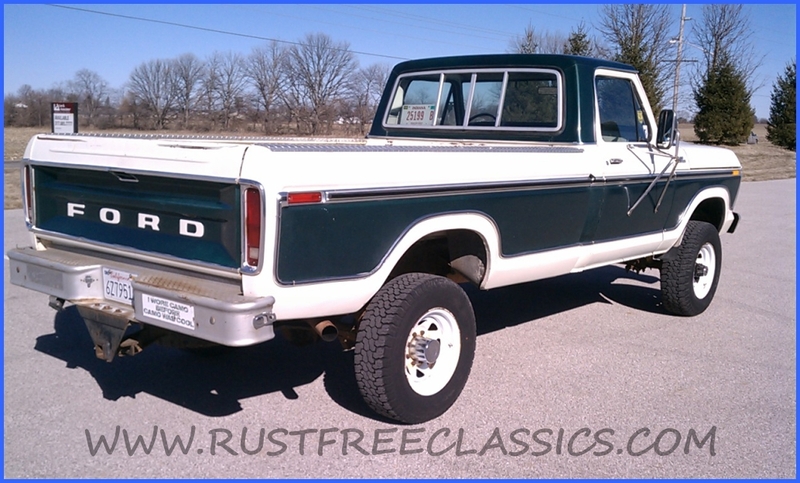 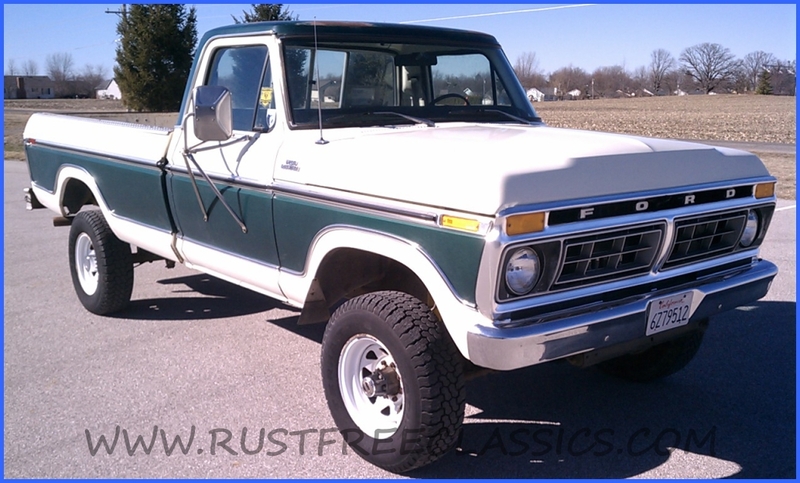 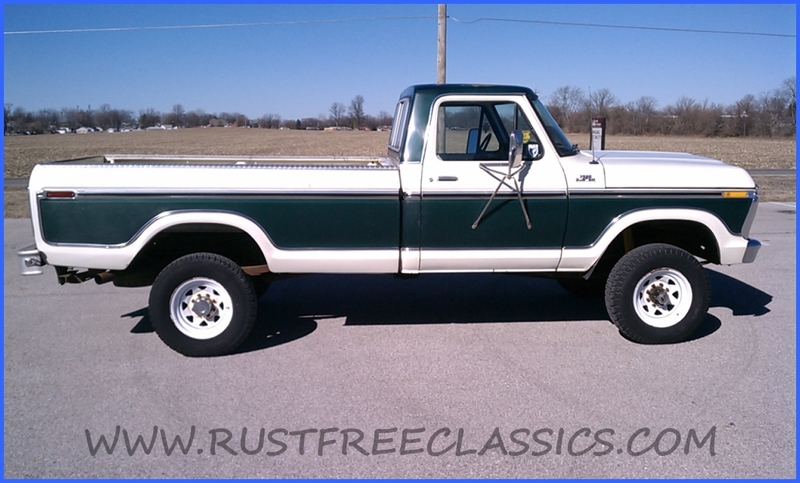 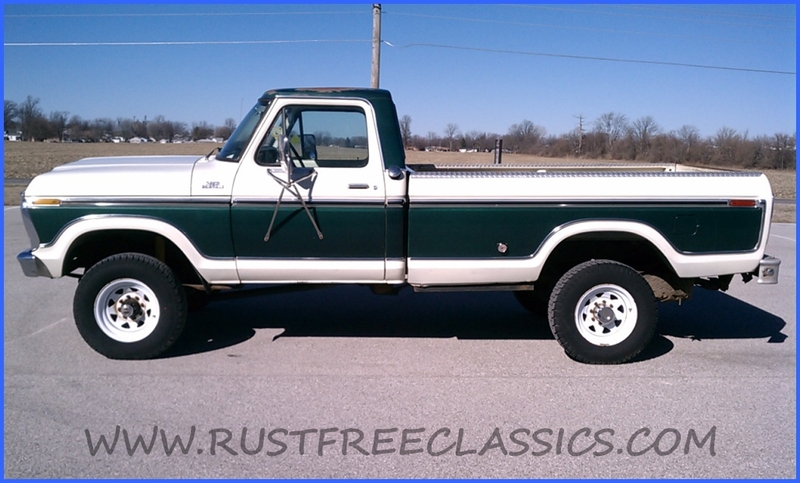 This is a nice example of a well optioned, and well documented 1977 Ford F250 factory "Highboy" 4x4. 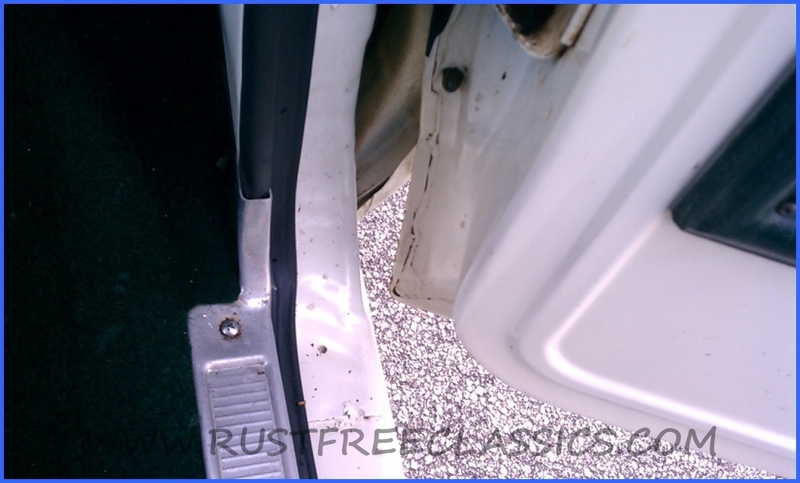 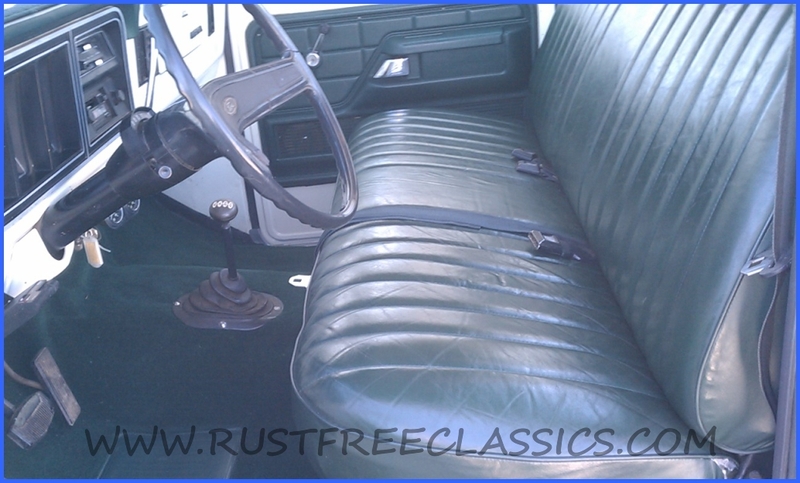 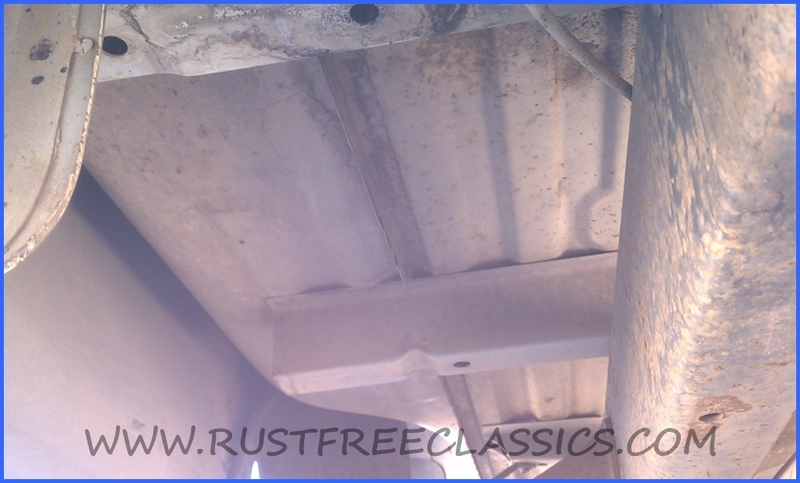 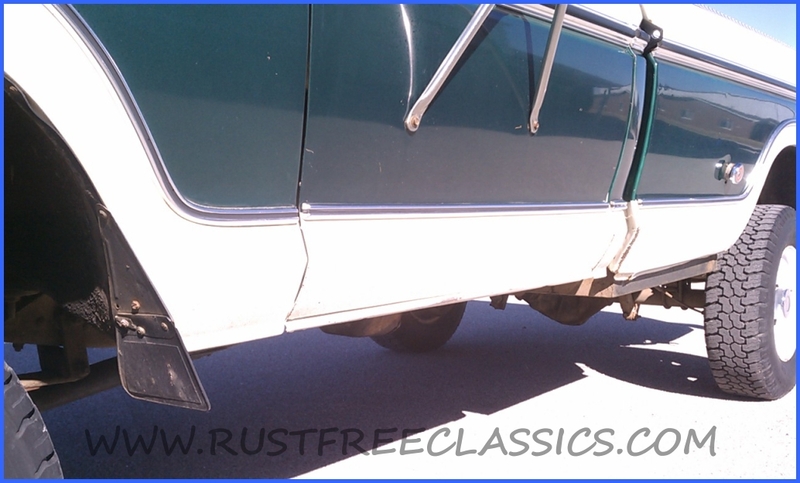 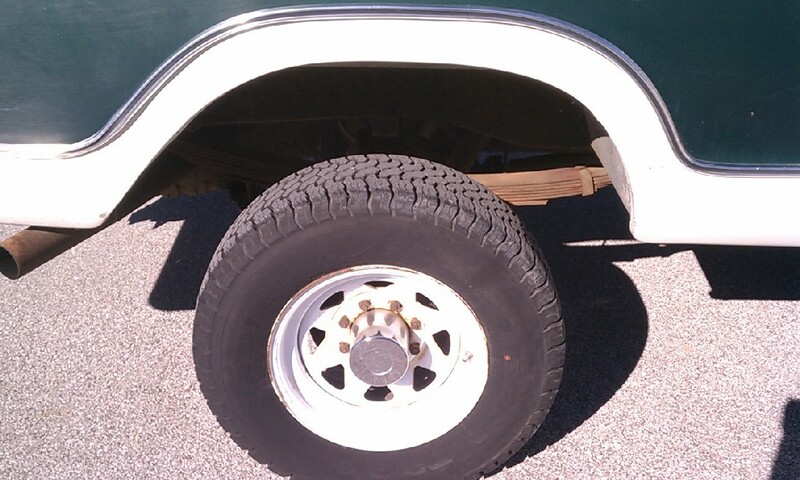 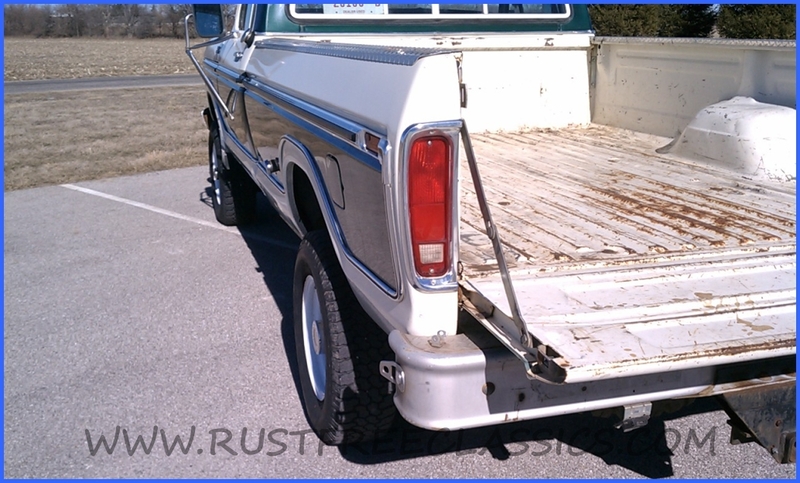 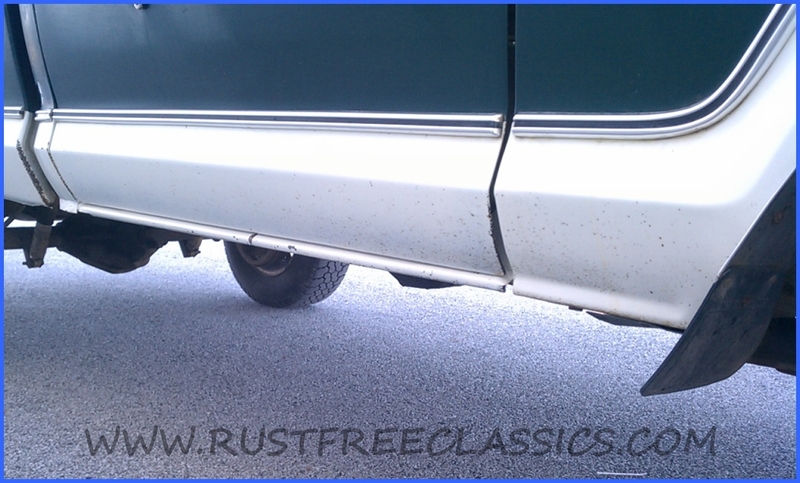 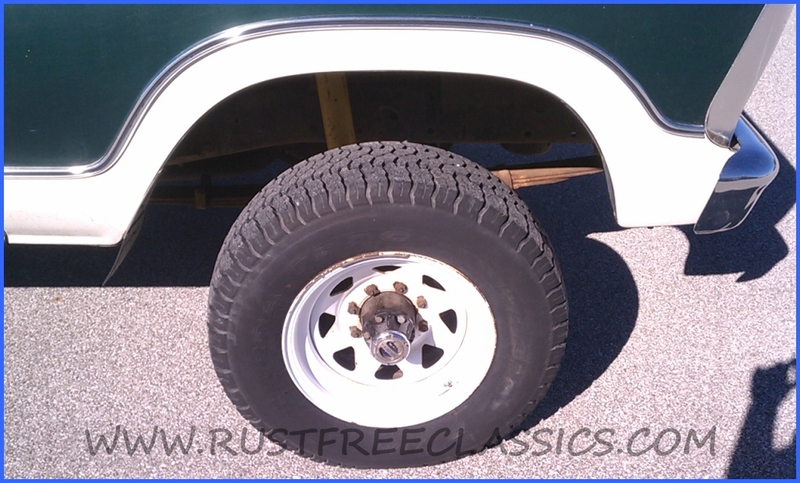 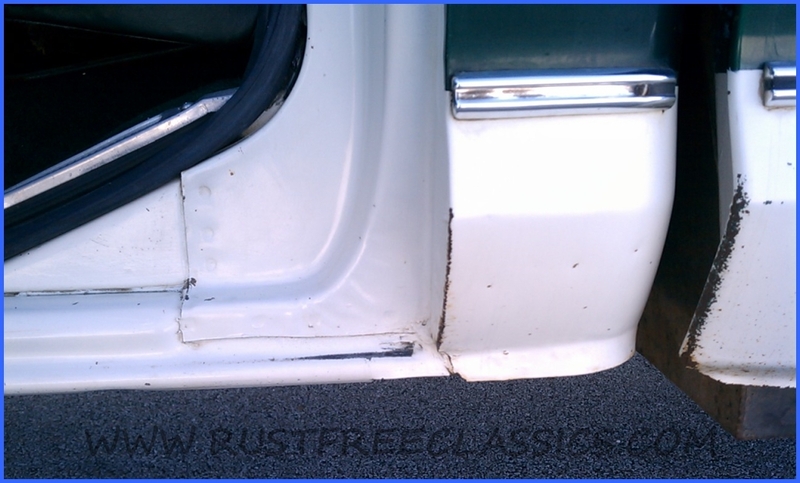 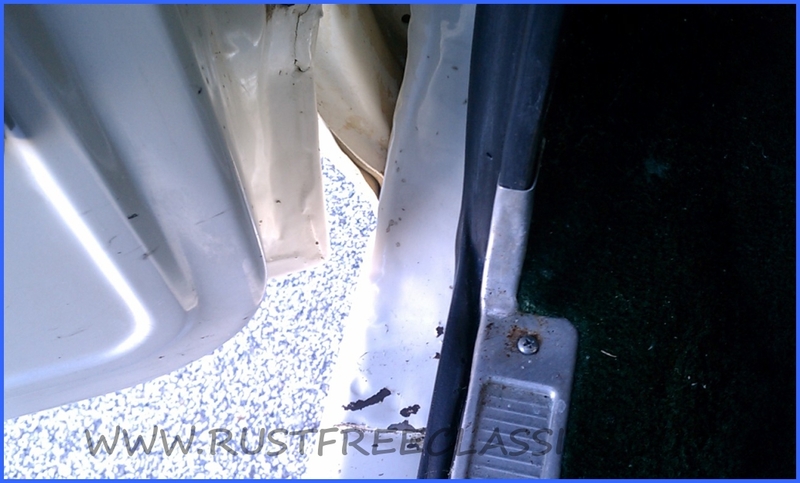 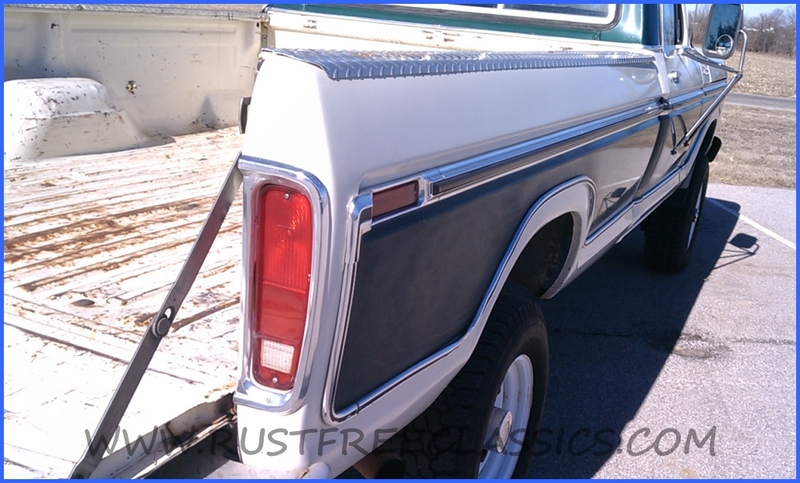 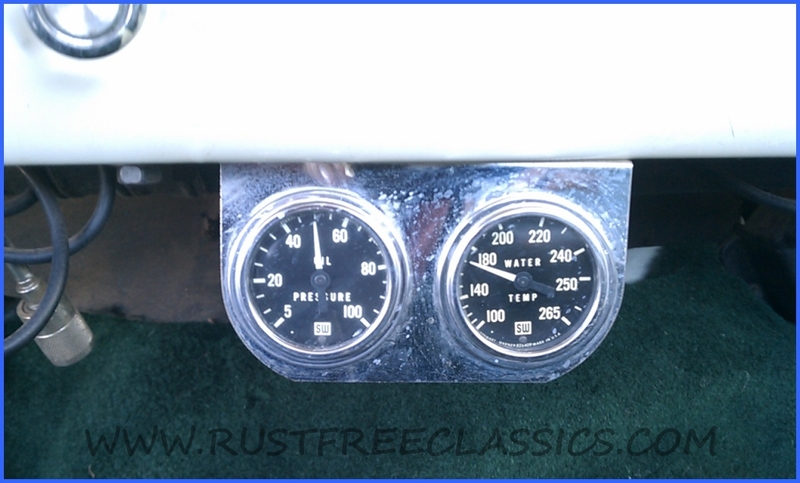 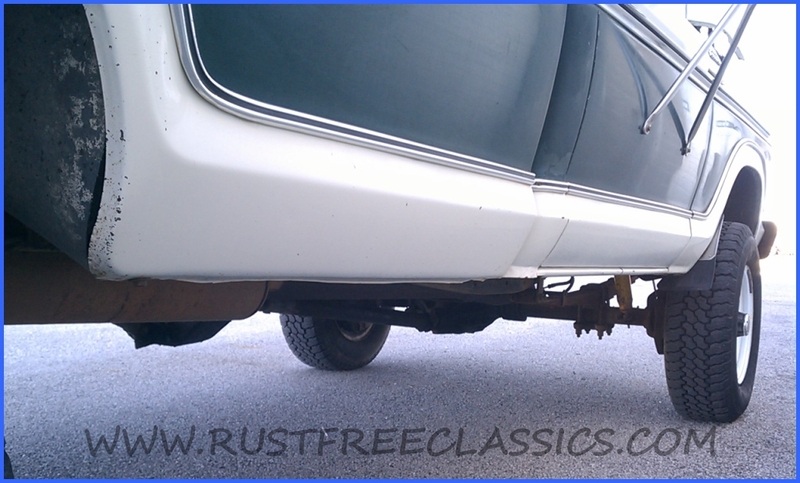 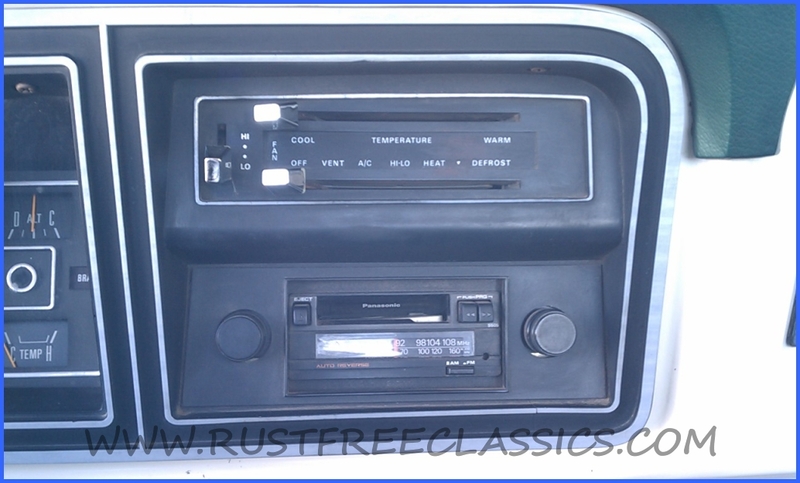 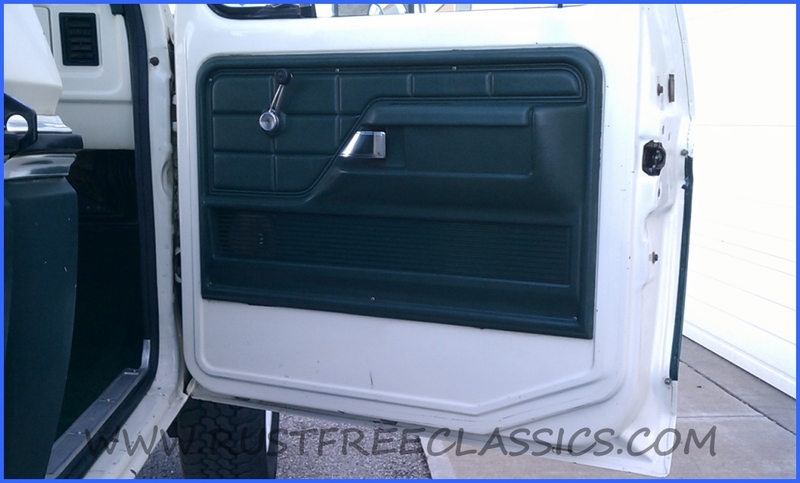 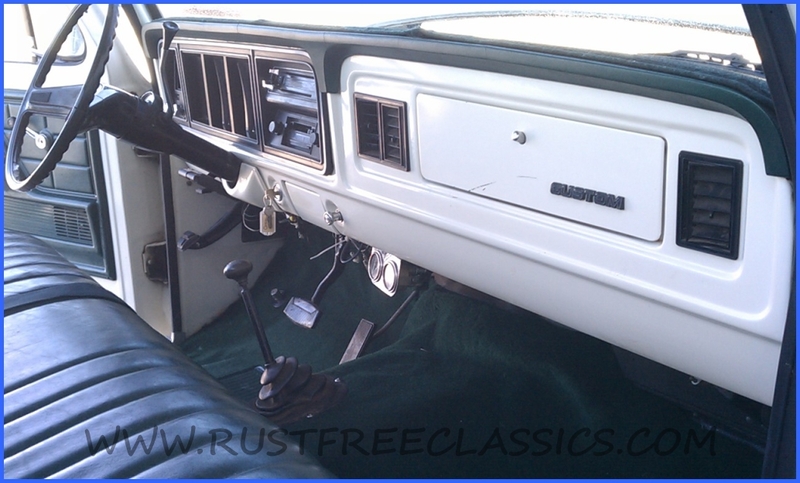 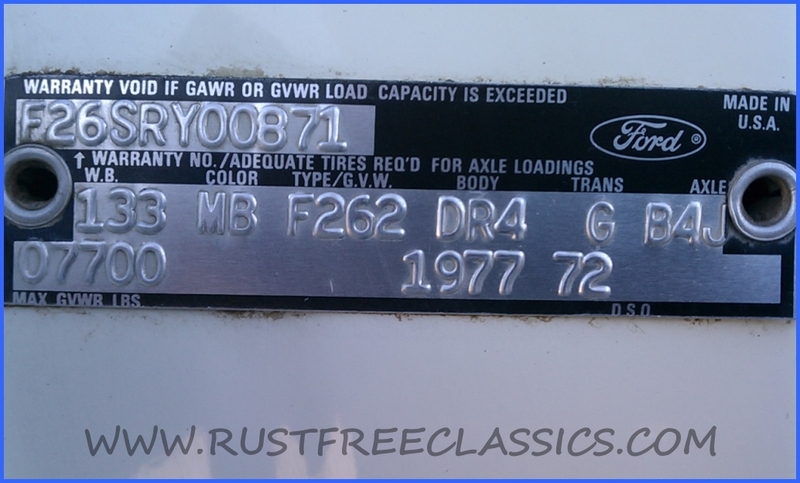 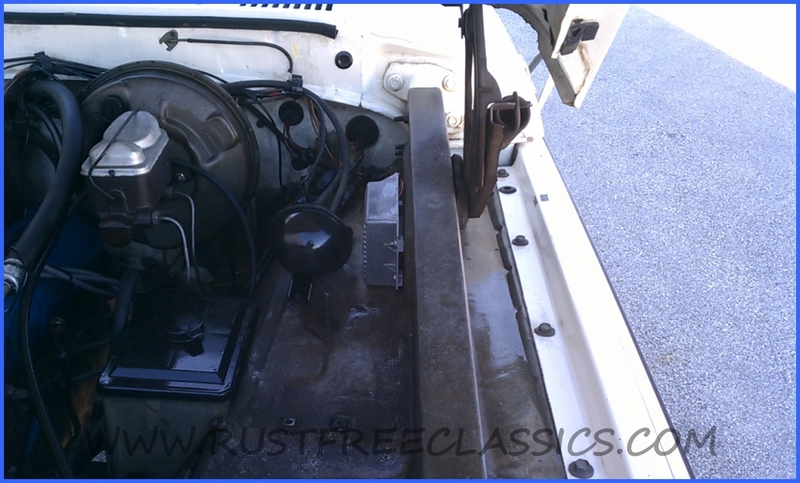 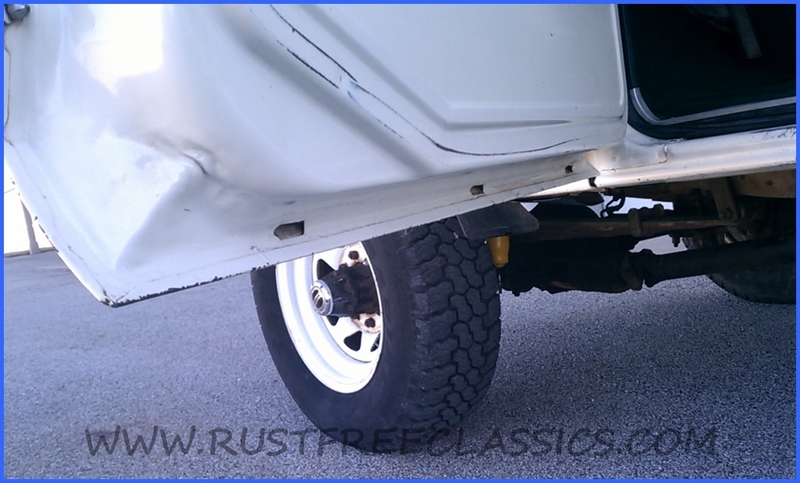 In mid 77 Ford dropped the "Highboy" in favor of the lower stance 78/79 style. 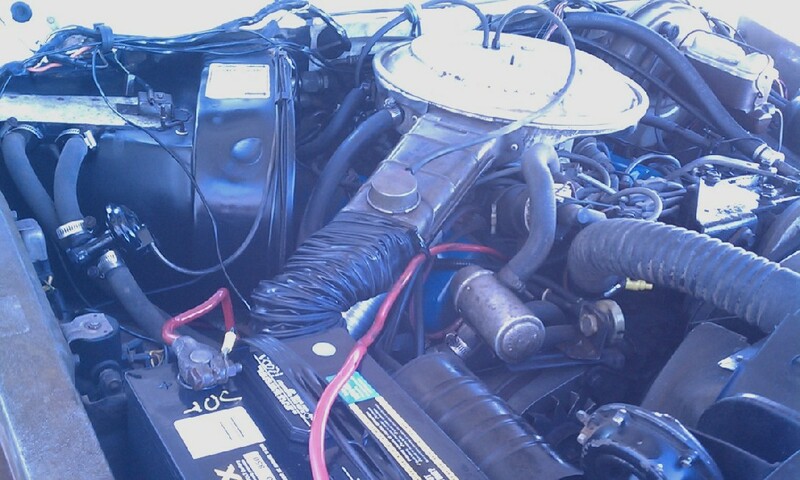 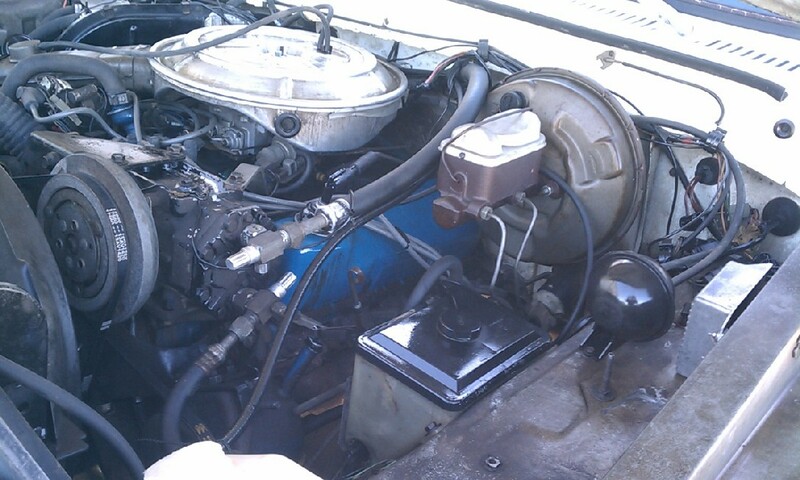 The 77 Highboy's got the 351/400 engine but still had divorced transfer case, and the slave cylinder power steering. 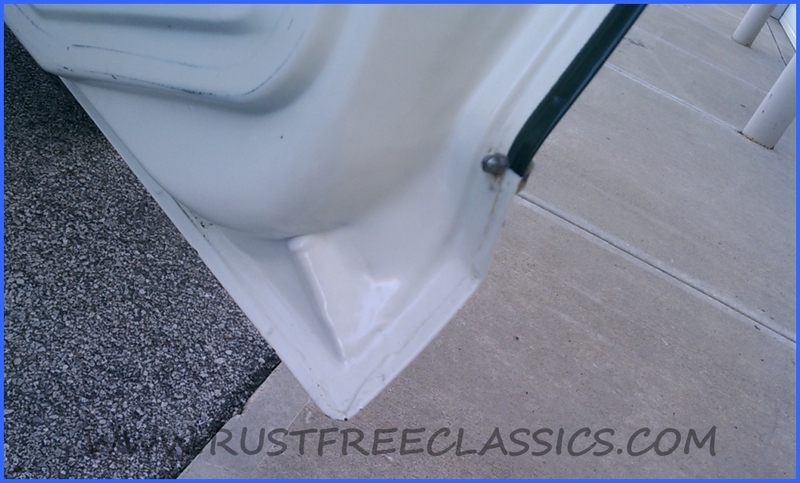 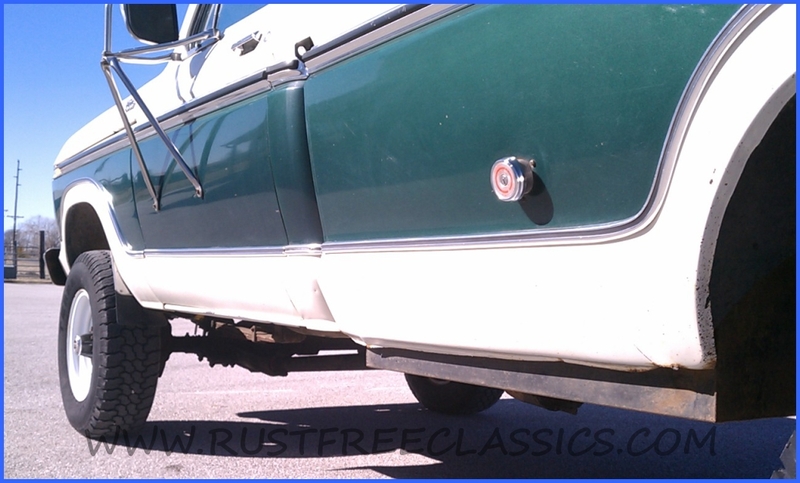 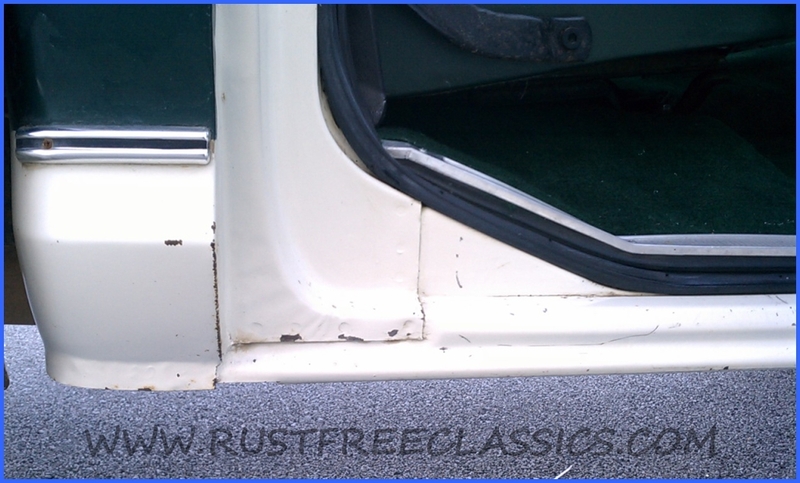 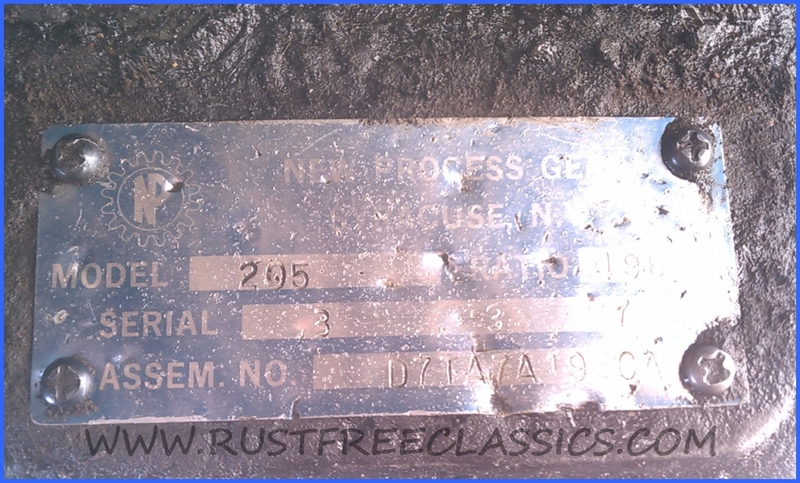 This one features most of the original Green and white paint on a 100% rustfree body from California. 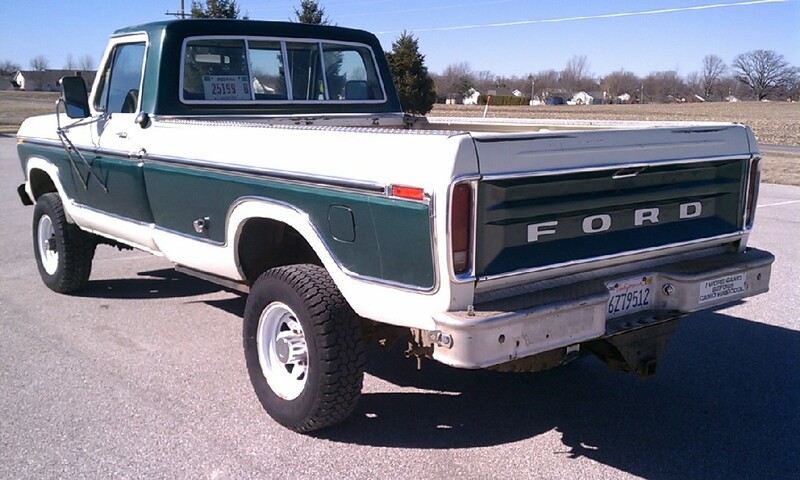 The body and bed are unbelievably straight for a 34 year old truck. 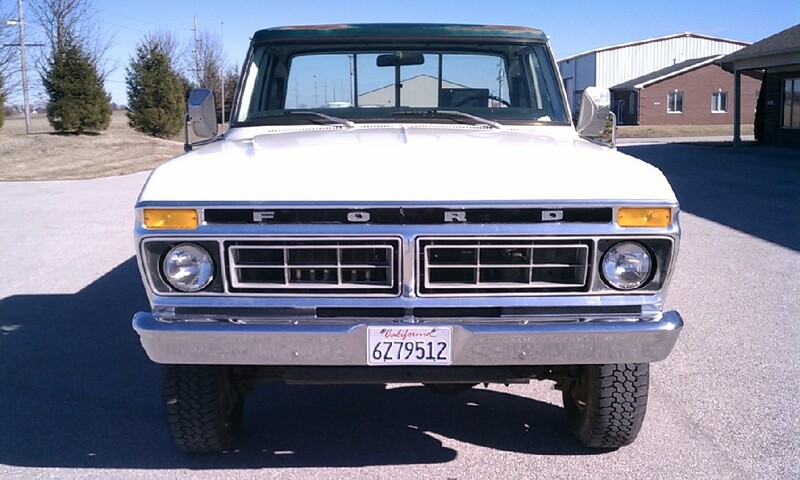 This is a two owner California Survivor, with only 117k original miles. 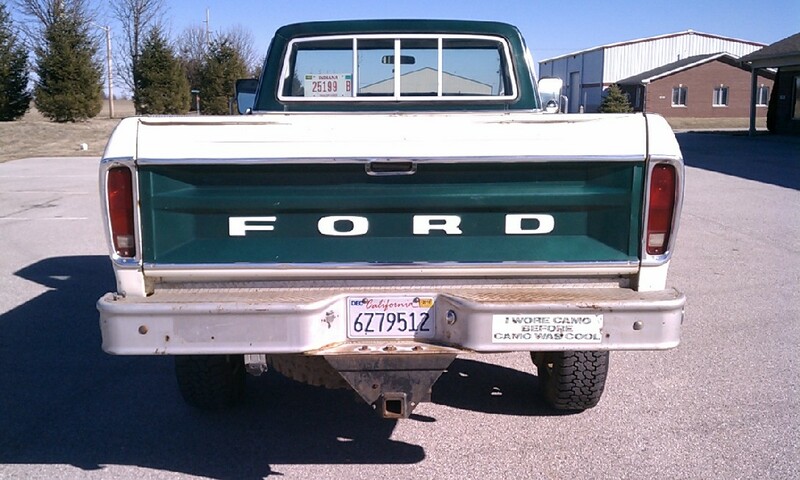 It is an excellent driver. 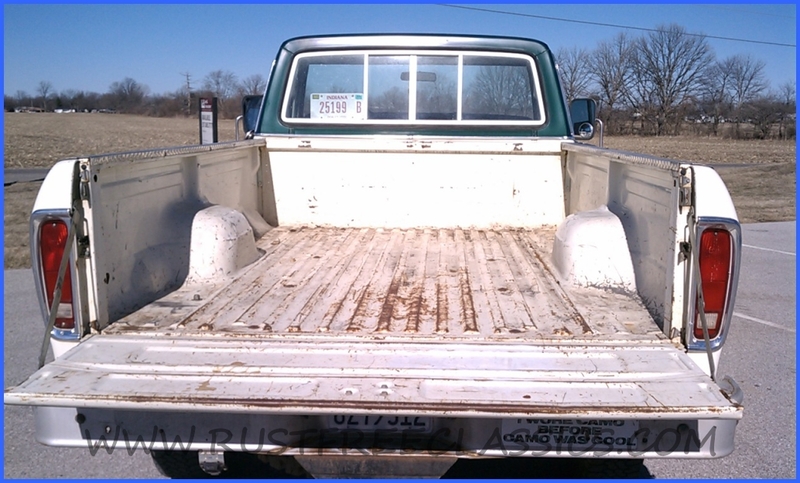 It has a rebuilt 400 (have receipts), firm shifting C6, working A/C, power steering, power disc brakes, This truck is an excellent driver. 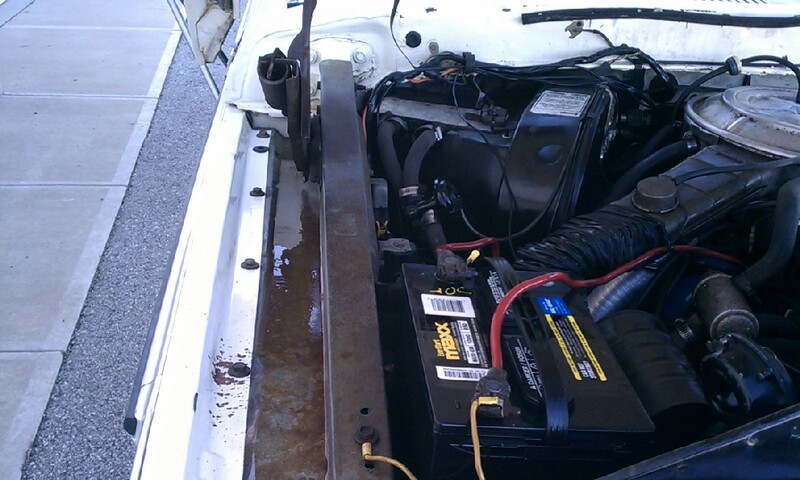 It has the divorced 205 transfer case. 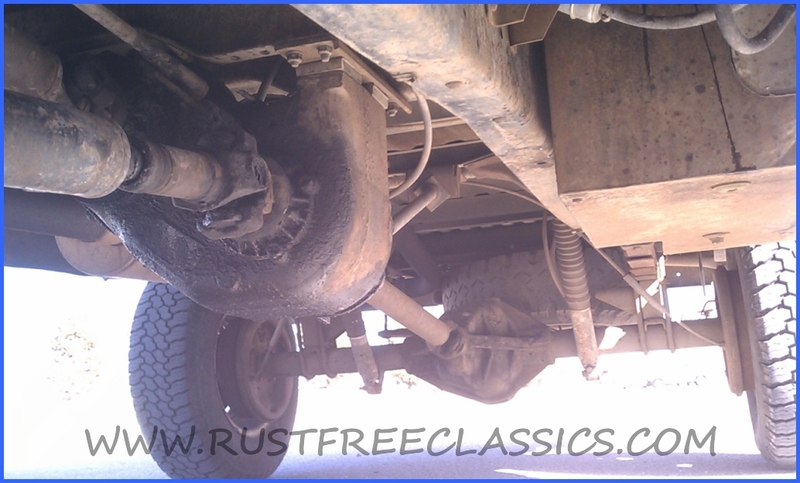 It also has the heavy duty big hub front axle, the big disc brakes. 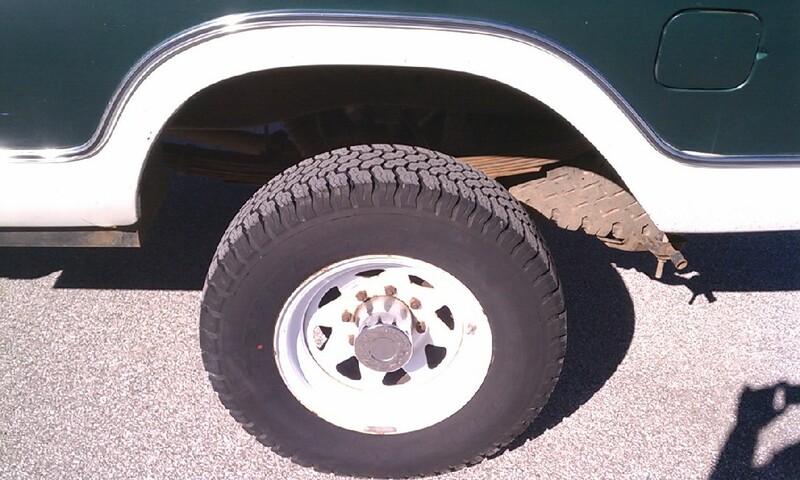 The truck has new tires, and nice exhaust, etc. 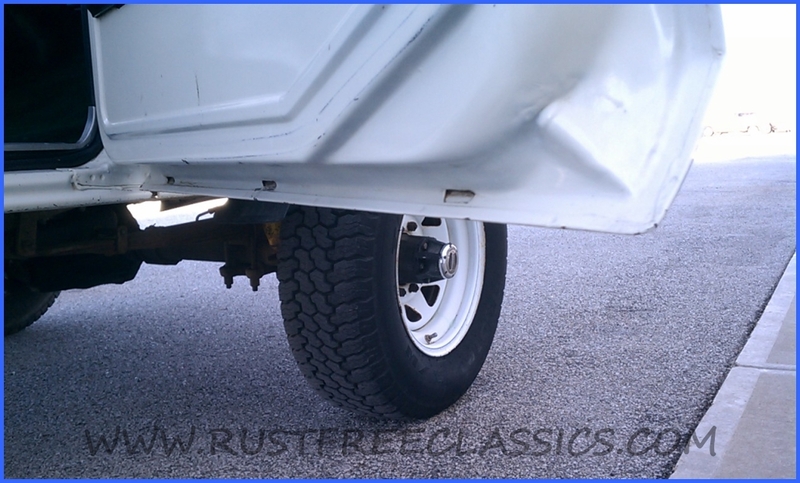 The disc brakes stop straight, and smooth, and the suspension is tight. 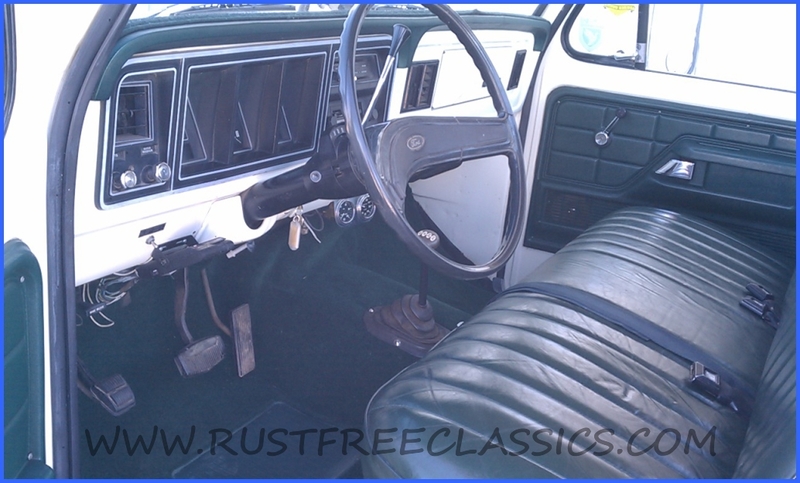 Hop in pump the gas peddle, the choke sets, and she fires right up. 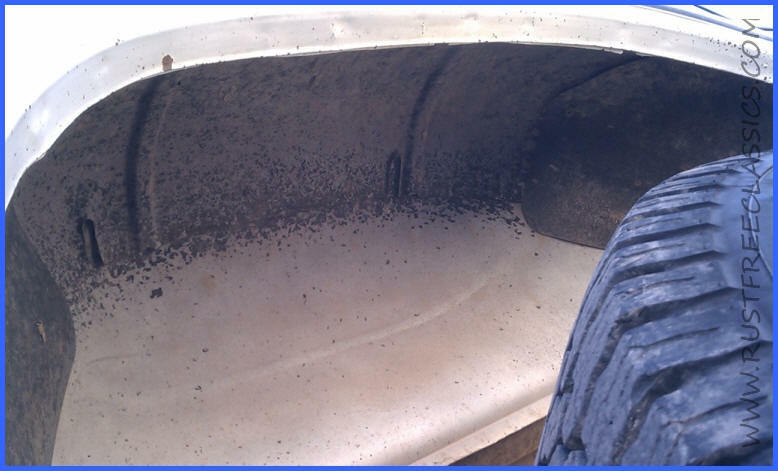 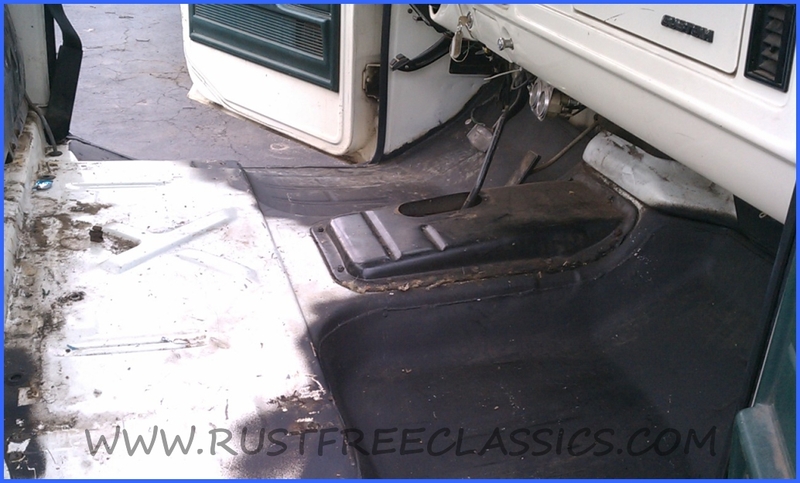 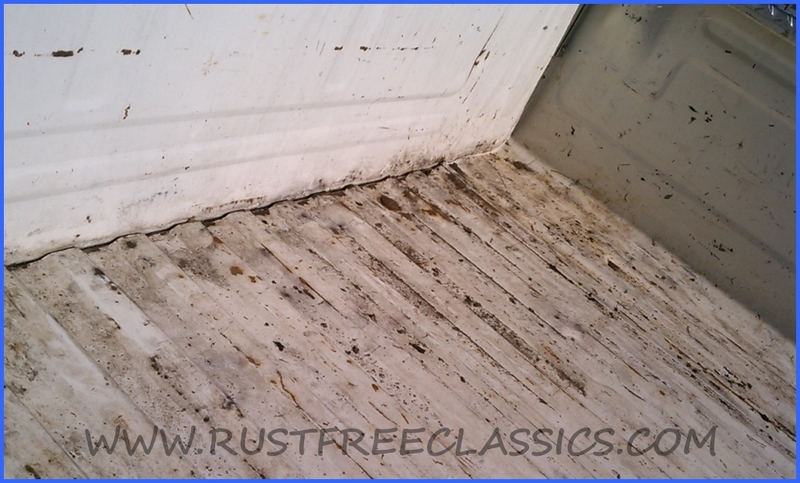 The previous owner said the floors were getting thin due to the rubber mat / padding holding moisture, so he had factory floor pans put in. 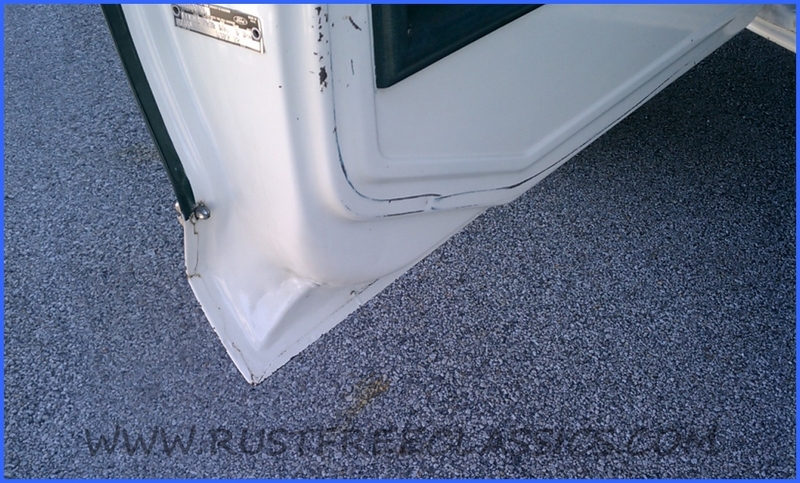 The body shop did a perfect job. 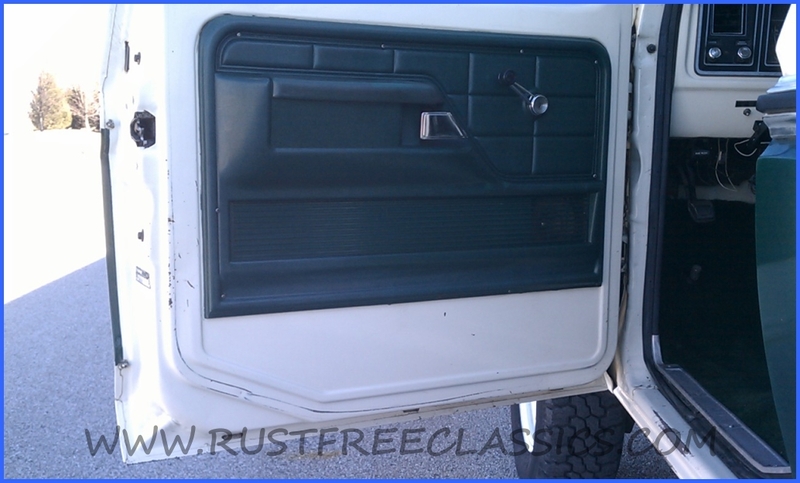 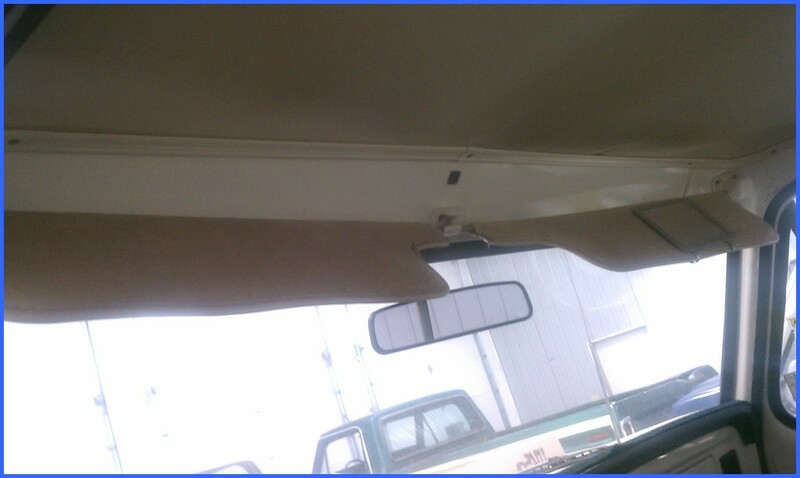 I put new factory carpet, and door weather stripping in. 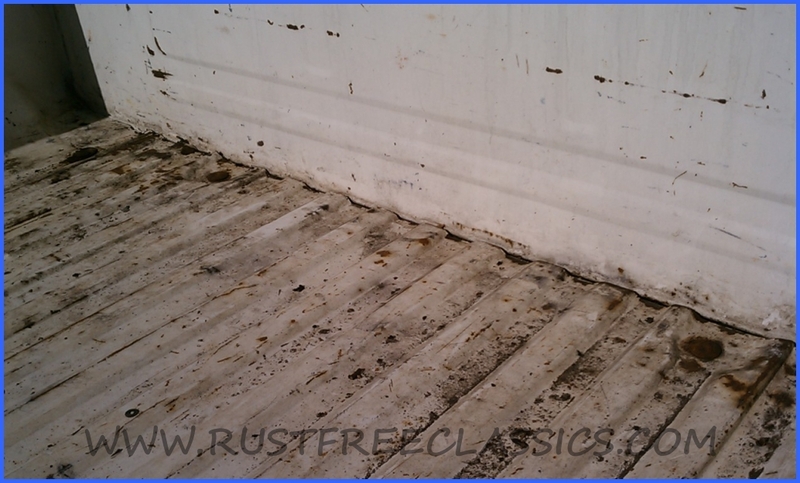 I am including pics pre carpet. 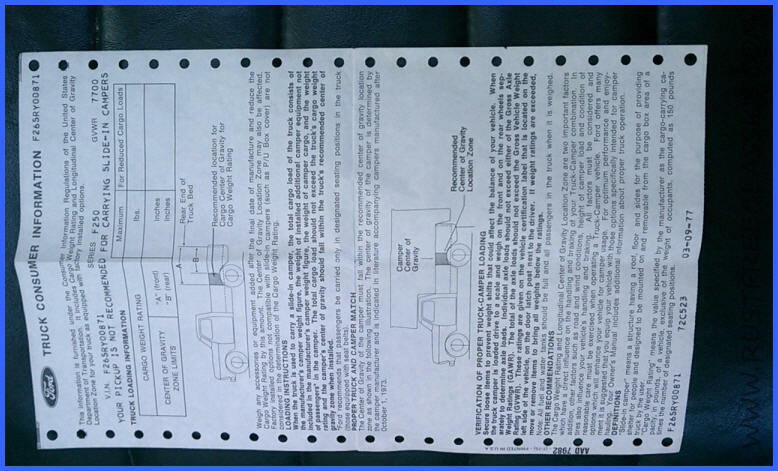 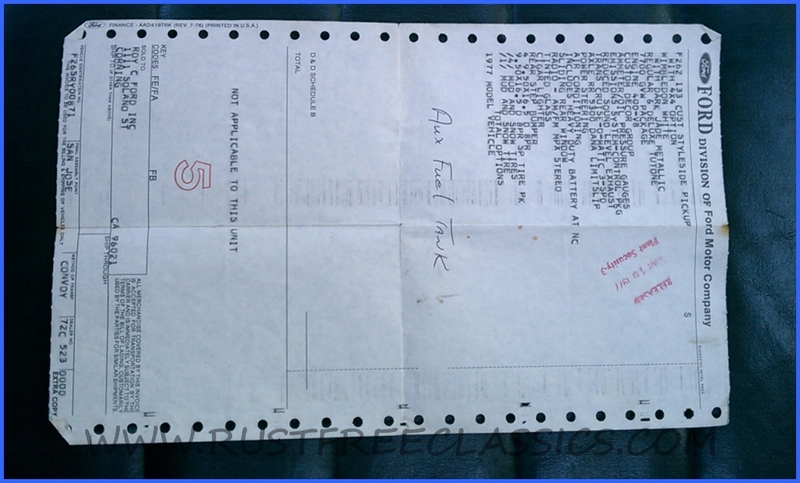 I also have the original owners manual, warranty tag, and window sticker, etc. 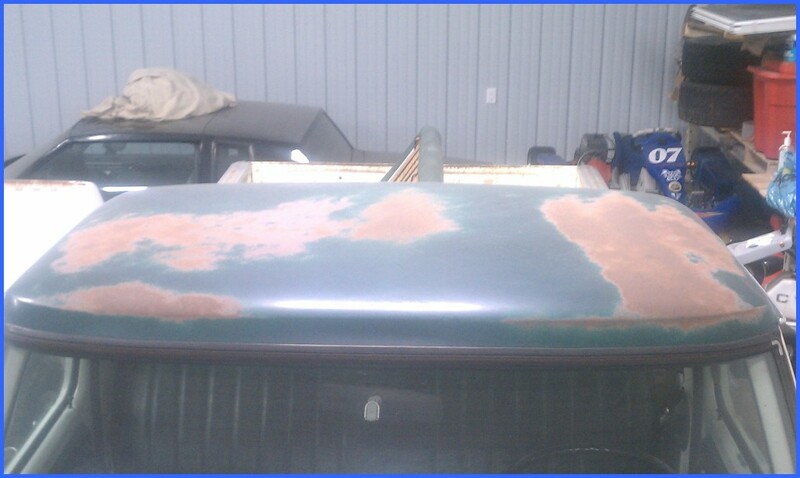 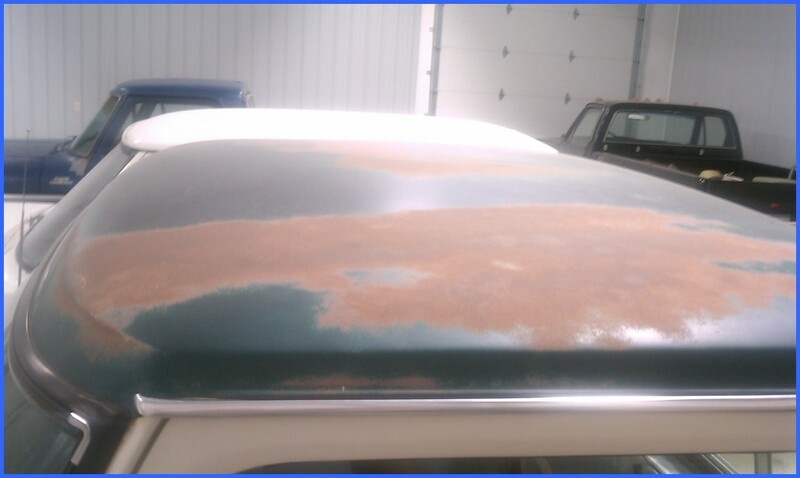 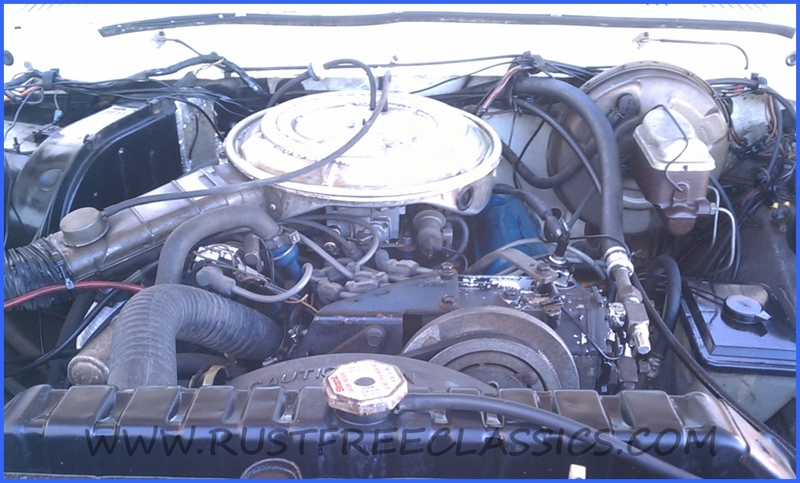 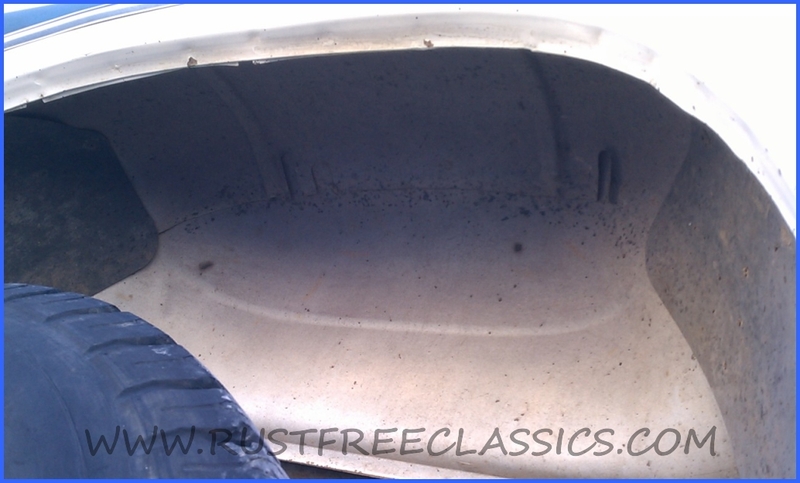 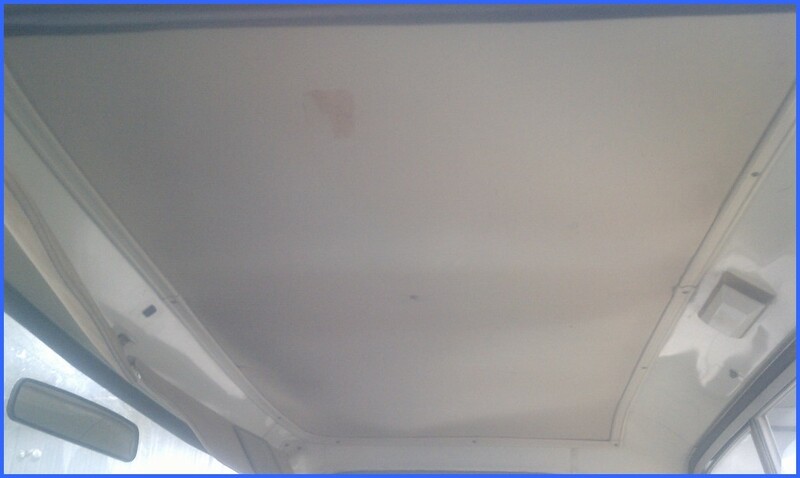 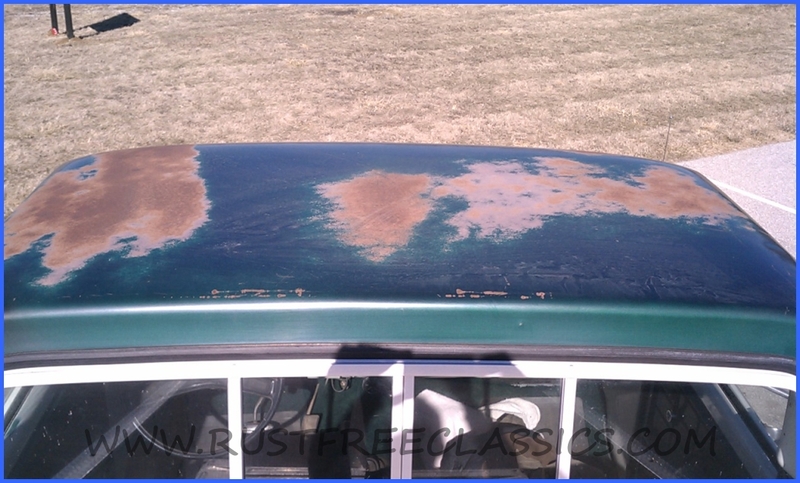 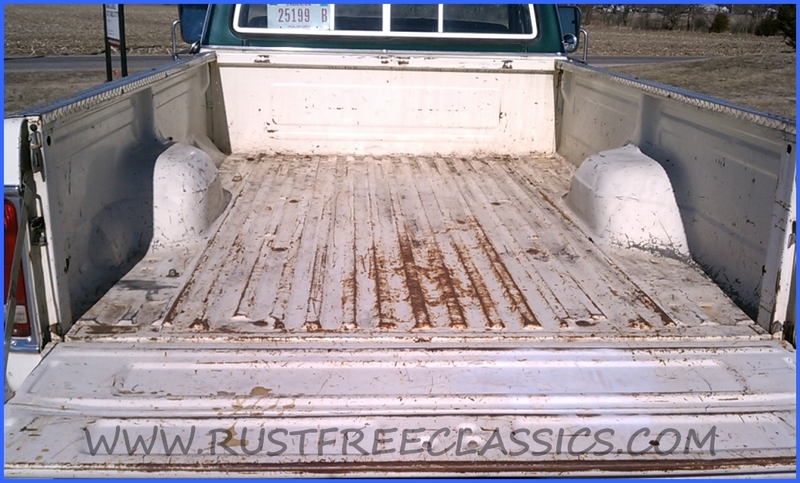 The bottom line, this is a nice clean unabused rustfree California survivor that I would hop in and drive anywhere. 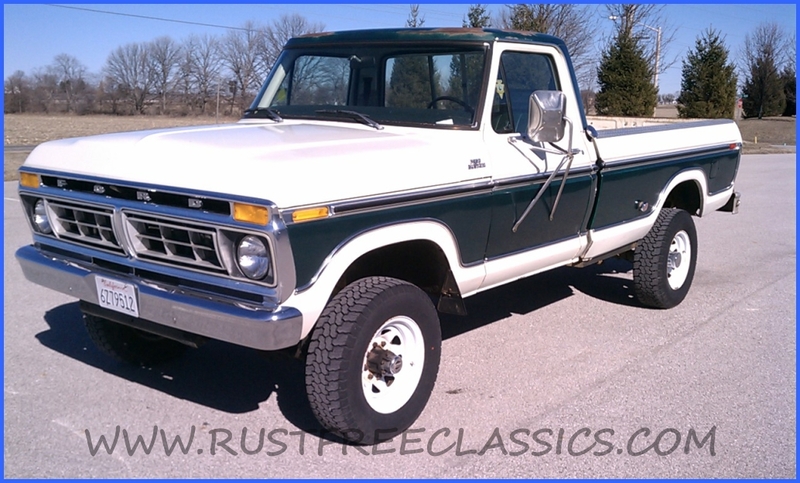 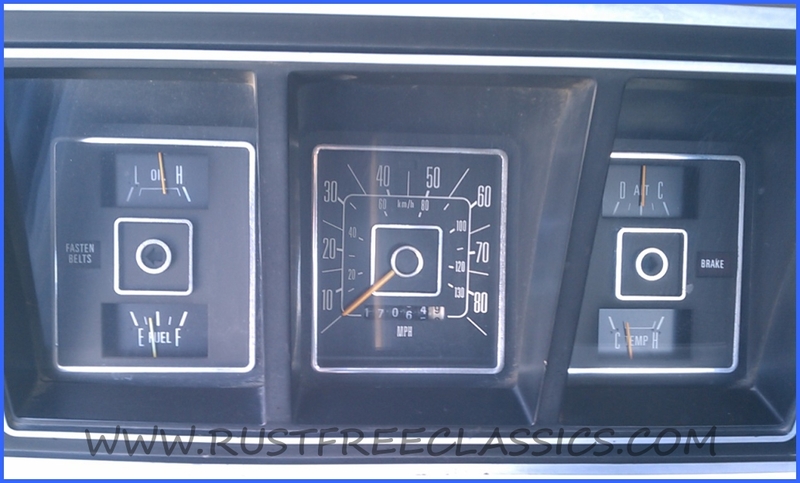 These Highboys are the hottest trucks right now, and 1977 is the most desirable year, this one won't last. 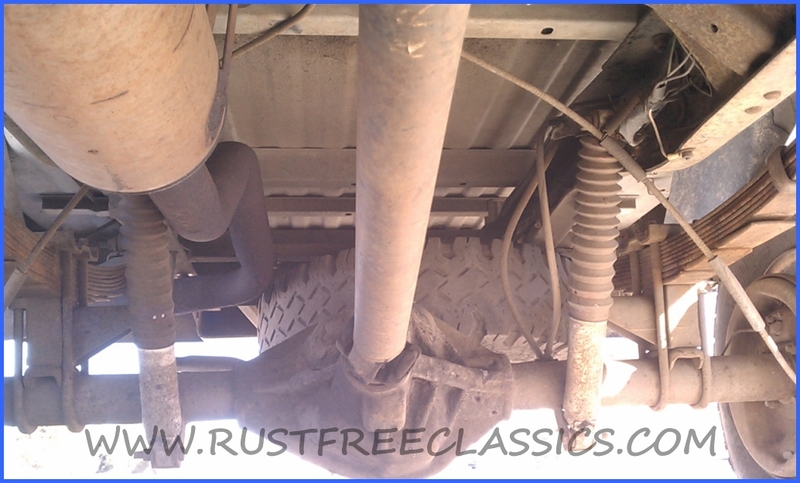 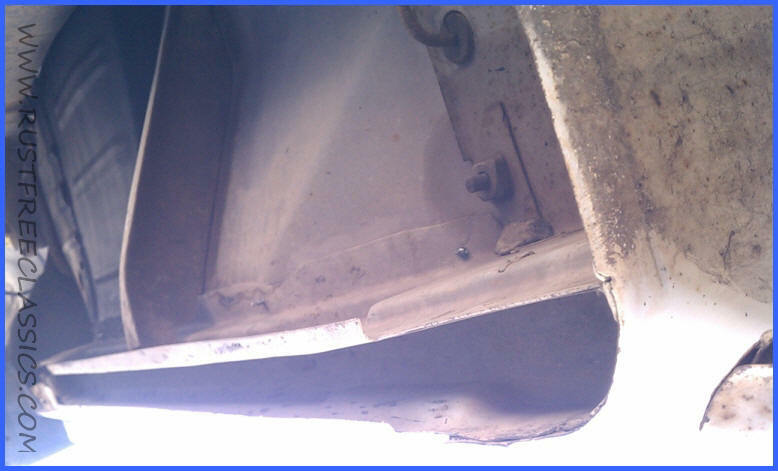 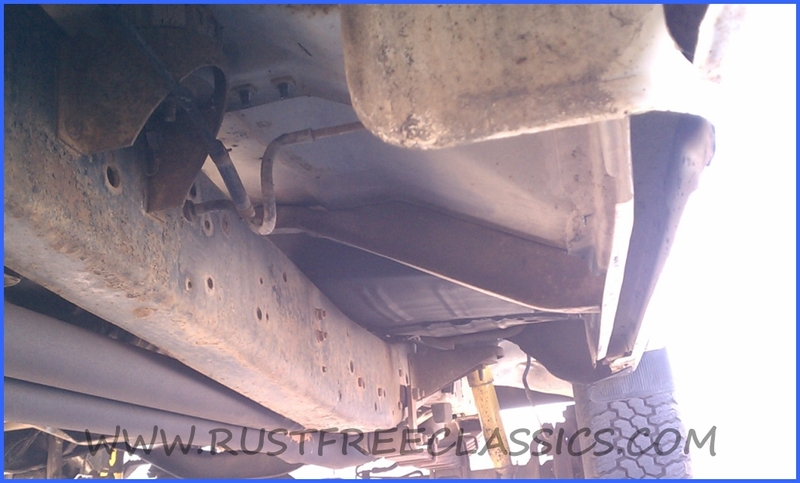 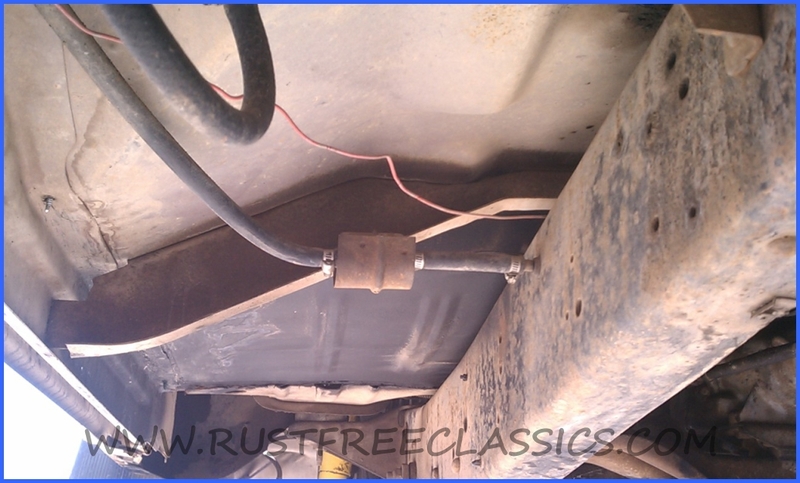 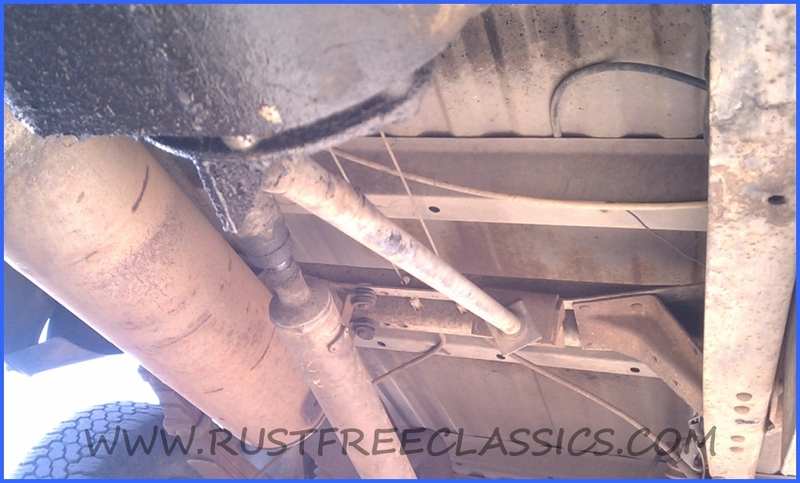 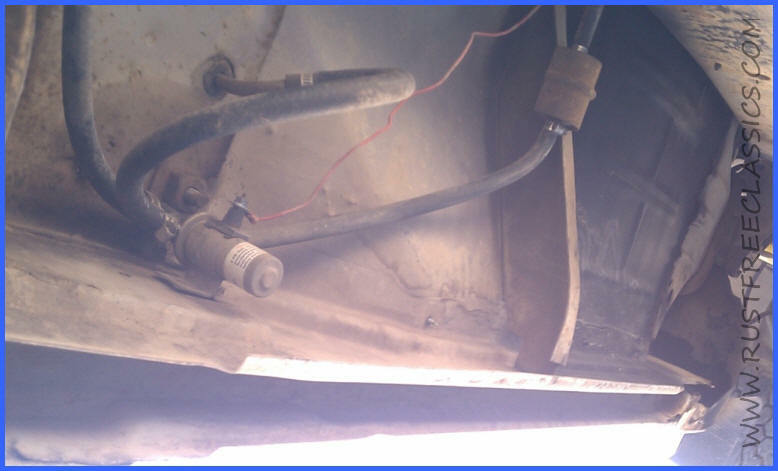 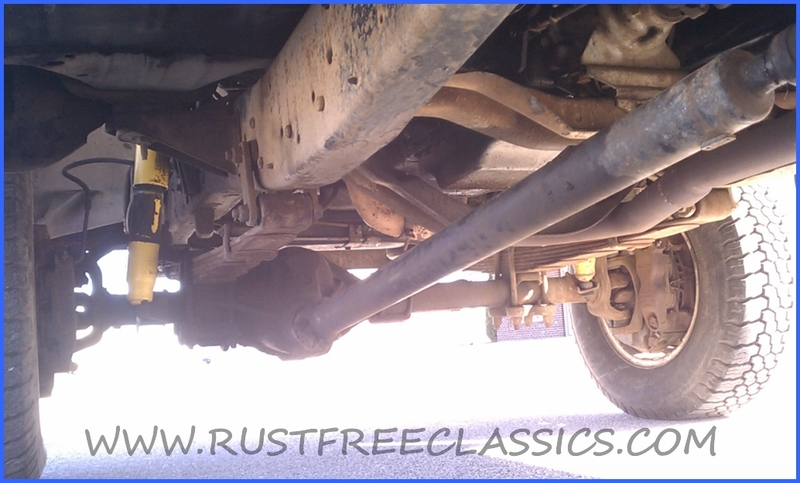 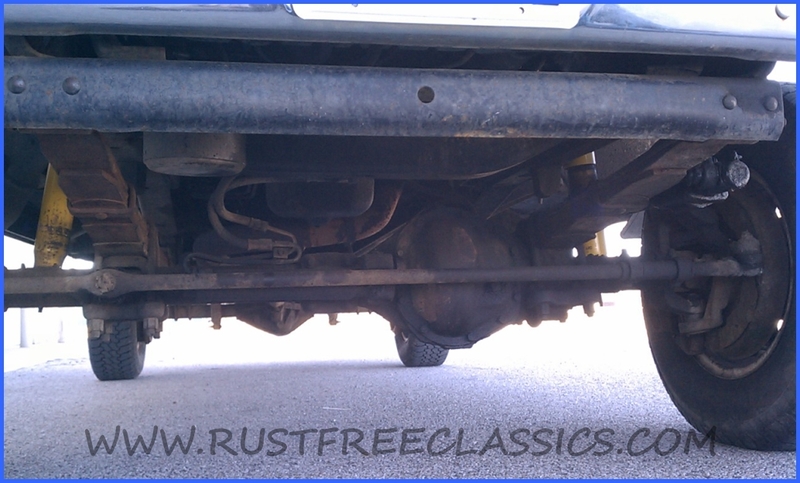 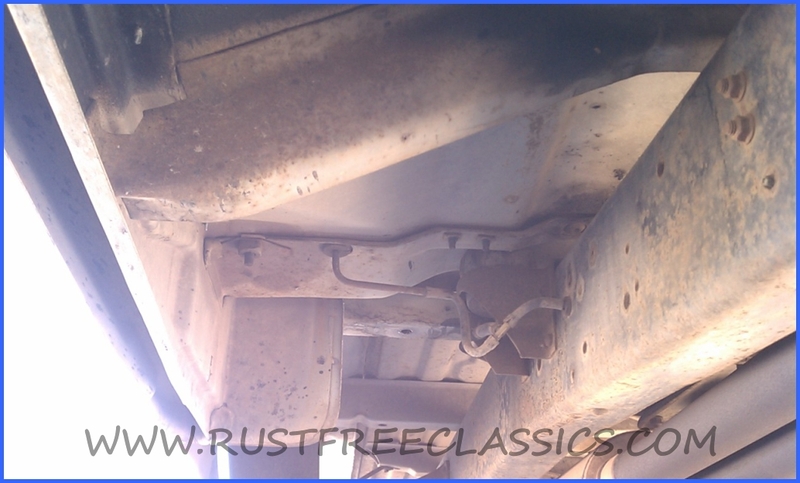 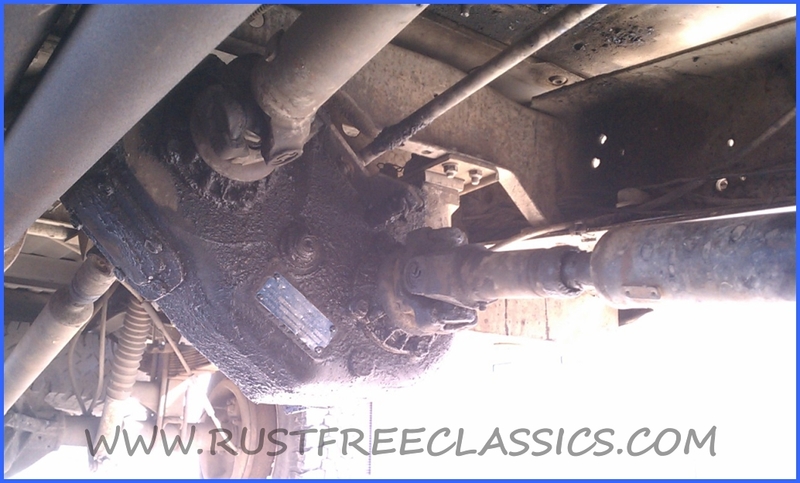 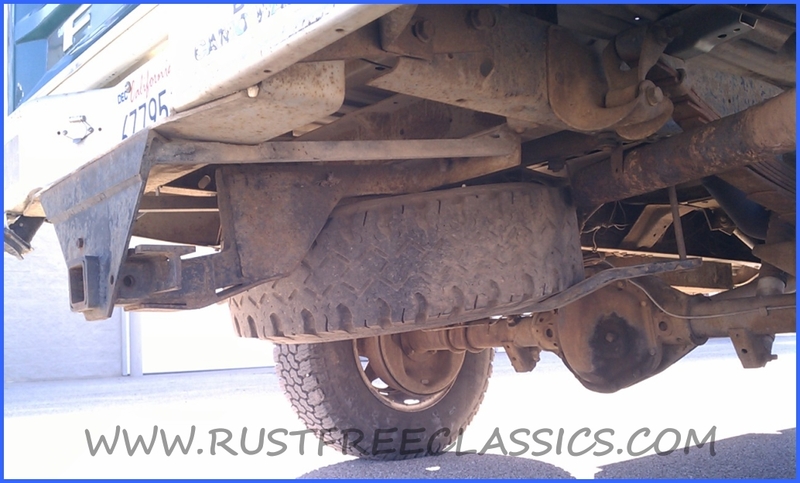 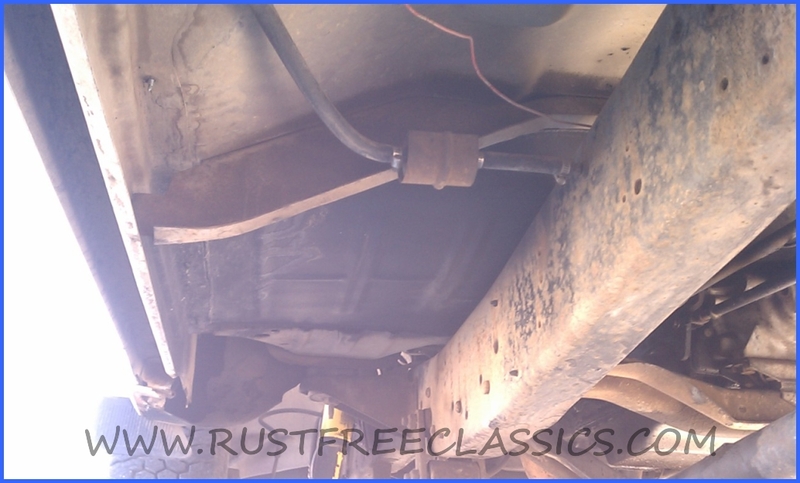 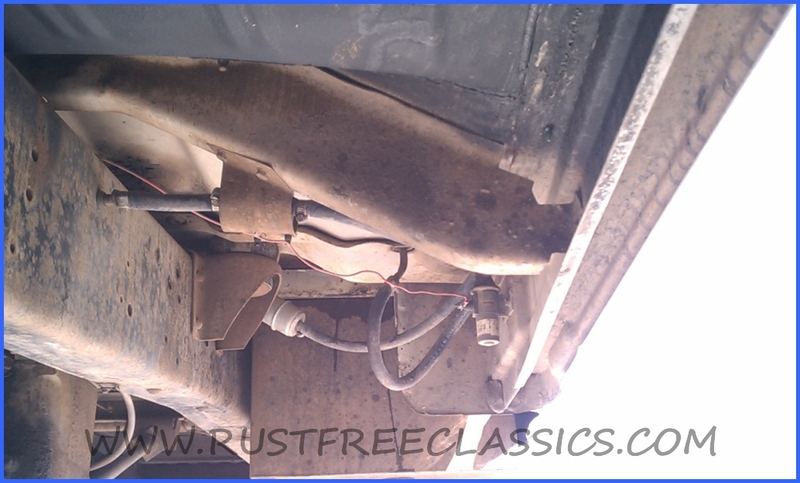 Front Axle: J = P.S.